During a recent unscheduled visit to a care home by Scotland’s care regulator, one of the inspection team sat down for a moment in a seat in the reception hall. Within a few minutes, a resident had politely, but firmly, asked her to move. It was ‘her’ chair, and the inspector (who didn’t know this, of course) hadn’t asked if she could sit there. 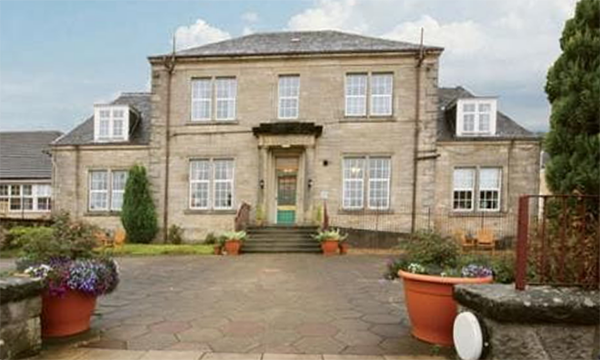 Despite – or possibly because of – being ejected from the resident’s favourite chair, the inspectors were impressed by the home, which is in the village of Bonnybridge near Falkirk. They rated Wheatlands as outstanding, giving it the top mark of 6 in categories including how well it supports people’s well-being, and how well care and support is planned. Within these broader categories, the home was also rated excellent in ensuring people are shown compassion, dignity and respect, and helping people get the most out of life. It was praised for its emphasis on promoting and maintaining people’s physical and emotional well-being – and for its excellent quality-assurance systems, which ‘demonstrated a culture that promoted quality and continuous improvement’. Just four years ago things looked very different for Wheatlands, which has 59 beds and provides residential, nursing and respite care. High turnover of managers meant the place lacked a sense of direction, and occupancy levels had fallen to just over 40. Step in Ms Sloan. Having been labelled ‘the fixer’ in her previous organisation, a care homes group, she was accustomed to being brought in to under-performing places and turning them around. Joining the Balhousie group in 2012, however, she was looking for a change of pace and direction. 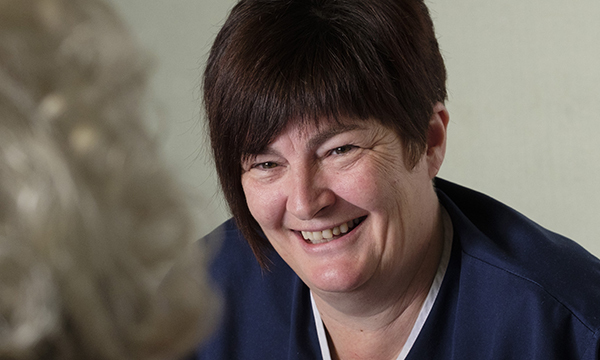 With many years of experience, first as a nurse working with older people in the NHS, then in the care home sector, Ms Sloan has a good eye for what a home needs to transform. Wheatlands was a challenge, she acknowledges. Ms Sloan has a good relationship with the Care Inspectorate and was setting an example of openness to her new colleagues, one that they have taken on board. In fact, it probably sums up her leadership style, which one former colleague described as ‘taking people on a journey’ – not telling them what to do, but offering them the information, tools and example to make positive change. As well as promoting a culture of openness in reporting incidents to external bodies, Ms Sloan is also accessible in the home. One of the first changes she instigated is what is literally an ‘open door’ policy: previously one of the two doors to her office had been permanently shut, but she keeps both doors open so that staff, residents and family members can come and see her whenever they want. 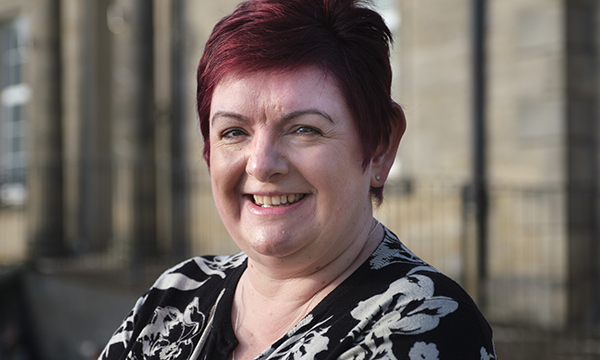 She has also worked hard to build relationships with the community and local authority – fortunately, she says, she had already worked with Falkirk Council, which meant it trusted her approach in transforming Wheatlands. Ms Sloan’s reforming eye has not only been fixed on leadership style. 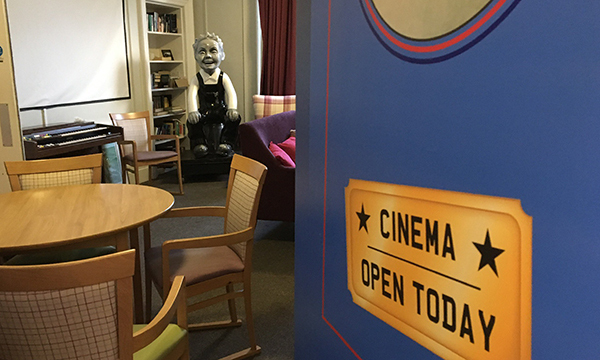 She has also overseen a widening of activities for the home’s residents, which now include a therapies room and a cinema room with its own popcorn machine. On my visit, a resident comes up to see Ms Sloan and proudly waves carefully painted nails at us. She has just had them done. There are other activities that have had a direct effect on residents’ physical well-being – for example, the ‘road to physical activity’ programme has encouraged residents to take exercise (including walking Ms Sloan’s pug, Jacob, who acts as a 'therapet') and has resulted in a 50% reduction of falls within three months. Today the home has a good reputation locally – reflected in the fact that occupancy is at 100%, and there is a waiting list of 43 people. Marjory Acheson joined Wheatlands in 1992 as a carer, then went on to train as a nurse. She took up her position of deputy manager in 2003 – so has witnessed the difference Ms Sloan has made. ‘It’s her enthusiasm,’ she says. ‘We learned to trust her very quickly – there’s a lot of trust here. ‘I’ve learned about being a deputy manager since Grace has been here. Before, I was working on the floor more, rather than doing all the things that being a manager involves, like audit, and working with the Care Inspectorate. She saw my potential. When Allison Taylor’s family was looking for a suitable care home for her, they thought they had found just the place. Smartly decorated and with all mod cons, it appeared to tick all the boxes. But then it didn’t. ‘My daughter said to the manager that I liked to have a shower every morning, and he said that residents usually liked having a shower just two or three times a week. So she left,’ says Allison. That was nine years ago, and Wheatlands is still home for Ms Taylor, who has a rare neurological condition called Fahr’s disease. Since then, Wheatlands has benefited from improvements ushered in by nurse manager Grace Sloan and has undergone a programme of refurbishment. Ms Taylor proudly shows me her room, which she says is the ‘best in the place’. Certainly it is large and bright and homely, decorated with her own art including an impressive wall-hanging, which is a riot of colour. Importantly, her accommodation has an en-suite wet room, where she can shower to her heart’s content. Ms Taylor, who lost her husband in the summer, likes the fact that at Wheatlands she can follow her own timetable, and isn’t forced to take part in group activities. ‘I can use my tablet in my room, and I do crafts,’ she says, explaining that she is currently making jewellery for the women at Wheatlands. She also appreciates the huge efforts that staff make to accommodate her dietary requirements, which are very particular, as a result of her condition. The staff are still smiling, she says, as they were on the day of her daughter’s initial visit – it is one of the first things that I noticed too – and they seem more than approachable.